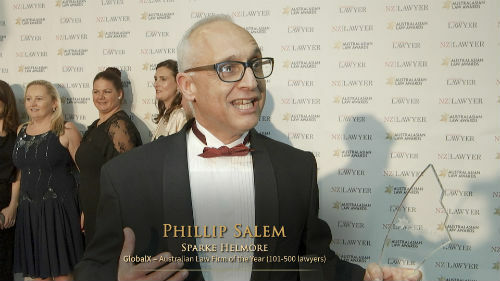 The former top lawyer of the News of the World tabloid has been cleared of all six charges of professional misconduct brought against him after he ordered the publication’s newsdesk to sleuth on two lawyers who had cases against his organisation. The Bar Tribunals and Adjudication Service unanimously rejected the charges against Tom Crone, among which alleged that he was trying to commit some form of blackmail against solicitors Mark Lewis and Charlotte Harris. Tom Crone was the legal manager of the News of the World when it was deep in the phone hacking scandal which eventually led to the paper being shuttered in 2011. If he had been found guilty of professional misconduct, he could have been disbarred. “I’m very relieved,” Crone, who represented himself, told The Guardian after he was cleared. “The way the evidence was presented against me – a very serious allegation of criminal conduct – was wholly unfair and utterly unwarranted by the evidence, which thankfully the tribunal acknowledges,” he added. The Guardian noted that judge John Price of the five-member panel which tried Crone said the tribunal unanimously rejected allegations against the lawyer because they could not resolve beyond reasonable doubt whether Crone’s intention was to gather information against Lewis and Harris that will force them to withdraw their lawsuits and settle more favourably. Crone had earlier admitted that he authorised surveillance on Lewis and Harris, but he said that the investigation was to ascertain whether the two lawyers themselves could be brought to regulators for professional misconduct and to possibly have them removed from cases against the tabloid. On investigating whether the two lawyers had an affair, Crone had said confirmation of this could have suggested they were sharing information. As part of the sleuthing on the two lawyers, Lewis’ home was also secretly photographed. The tribunal said, however, that Crone could not have reasonably expected the private investigator tasked to probe the two lawyers would go to the home where Lewis’ estranged wife and 14-year-old daughter were living.